There’s quite a lot of metaphor coming out of ICRISAT lately, for some reason. First we had Genes of Gold, referring to the use that the centre has made of the biodiversity within its crops in developing new, improved varieties. 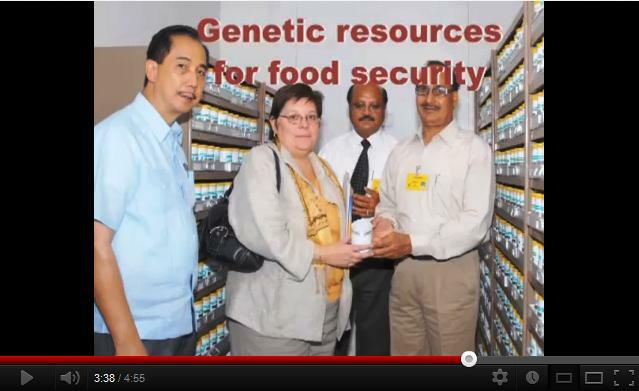 Then today we have a video on the Jewels of ICRISAT, which includes a couple of the aforementioned new varieties, plus the genebank itself. The genebanks of the CGIAR, of which ICRISAT is one, have of course on occasion been described as the crown jewels of the system. They cost $21 million a year or thereabouts. Which seems cheap for crown jewels. Especially compared to the sort of price tag people are putting on saving the whole of biodiversity, rather than just that part of it which feeds us all.